Matthews’ Painting Company specializes in log home restoration, staining, sealing, maintenance, and refinishing. We provide our log home staining and sealing restoration services to the Warsaw, Winona Lake, Leesburg, Syracuse, Columbia City, North Manchester, North Webster, Lake Wawasee, Lake Tippecanoe, Goshen, Indiana and surrounding Indiana cities. Matthews’ Painting was Certified by the Sikkens Company who referred us to log home owners in Northern Indiana for complete Log Home Restoration, inside and out. Sikkens is one of the leaders in log home staining and sealing products. 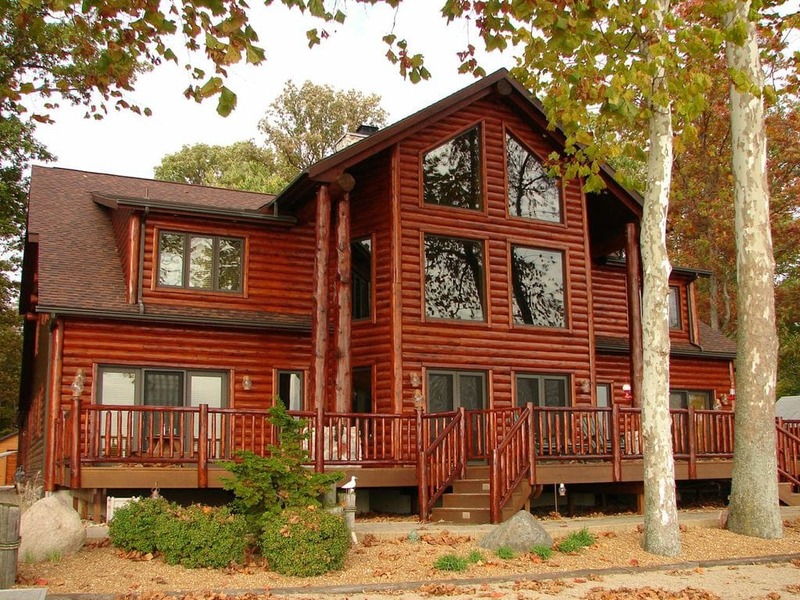 For Log Home owners who prefer waterborne environmentally safe wood coatings, we have experience in using the Life Line products from Perma-Chink Systems, Inc. In addition, we have been educated from a Sansin product specialist in using the Sansin Log Home stains and clear coats. Log Home Insecticide, termiticide, fungicide application. Log Home Mold and Mildew Removal. Log Home Interior and Exterior staining. Log Home Clear Coat Maintenance Applications. Log Home Log End Seal and More!!! Learn More about our FREE Log Home Inspections. Contact us or call 574-834-3575 for a free quote.